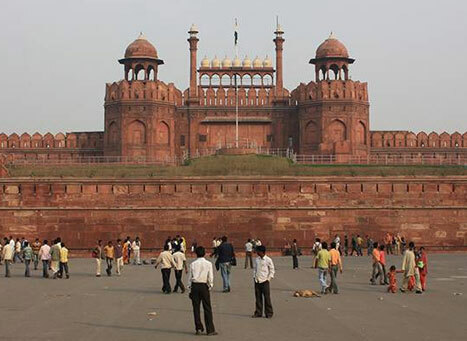 Being the capital city of India, Delhi assures the tourists to never face any dull moment. With having flaunting monuments, religious significance and scrumptious street food, the city is explored by thousands of tourists across the globe all throughout the year. Considering to plan a trip to Delhi during the winter season would be an ideal choice as the weather remains balmy and pleasant. Yes, summers are scorching but still Delhi is witnessed by the tourists. Also, one can visit Delhi during the monsoon season when the city experiences rain. Winters in Delhi between November and February bring along cool winds, biting cold and heavy fog with temperatures dropping below 5°C with a maximum temperature rising upto 20°C. Visiting Delhi during the winter season, you would get the opportunity to taste amazing that are specially prepared in the winters. Also, the cool and pleasant weather of the season would allow you to make the most out of your trip to Delhi where it becomes convenient for Delhi sightseeing and visit the tourist attractions where you can roam around the monuments and temples easily. Summers in the city between March and June is scorching which becomes unpleasant with hot winds and high temperature that hovers between 25°C and 40°C. During the months of May and June Delhi experiences unnaturally high temperature rising upto 45°C. It is advisable not to plan Delhi sightseeing during the summers because of the scorching heat, however, if you are planning for a luxurious staycation in Delhi to take a break from the daily grind for a unique experience, then the capital city of India has plenty of options to hold you during the summer season. Delhi welcomes monsoon season between July and September along with the whiff of fresh and cold air and fat raindrops when the temperatures see a considerable dip and the humidity constantly rises. It is during the monsoon season when the city witnesses highest rainfall with the temperature varying between 30°C and 35°C. Visiting Delhi during the monsoon season makes it the best time to capture the drenched city in your camera and enjoy the piping hot food that Delhi is famous for.